Make no mistake; fall fishing for wipers and white bass on lakes can be great fun. The action is fast and furious, exciting, hard work and these true members of the bass family fight like carp on steroids! Wipers are actually a hybrid cross between a white bass and striper and this marriage of the two fish species brings out the best of both. The wiper is a bit stronger, leaner and faster than the white bass, but either fish will give anglers a lot of fun and a challenge. Wipers have a darker-broken lateral line and white bass have more of a grayish lateral line that is unbroken. 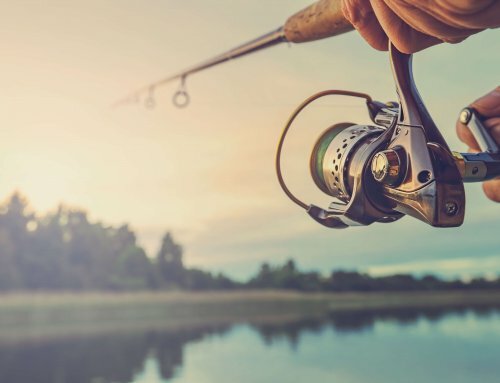 Fall wipers may be shallow, deep or in-between depending on local weather and water conditions, but during the cooling waters and weather of Iowa’s lakes in fall, the fish will feed. Both species feed in large schools, you won’t find many single fish and it’s unlikely any of these fish will be relating to any type cover. Shad will be the most sought after food source for wipers. Unless the fish are surface feeding it’s difficult to locate schools of wipers or white bass without a boat and depth finder. Both species spend the majority of their lives offshore cruising the open water areas where there may or may not be some type of underwater structure or cover. These fish force shad and other baitfish either to the surface, a shoreline or anywhere else they can trap the baitfish and gorge on them. It’s always an amazing sight to see a large school of wipers or white bass attacking a school of shad on the surface. 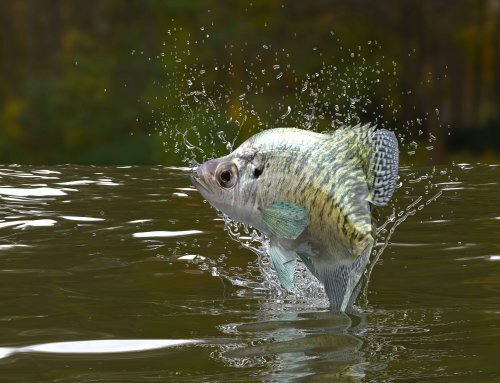 Baitfish are flying everywhere, the game fish are jumping and slapping the water and for a few seconds or minutes the fishing world is in complete chaos! What’s really amazing is that this same scene except for the surface splashing plays out deep underwater every day, we just don’t see it happening. When these fish are feeding on the surface most any top water lure, live bait or shallow running lure will draw some action. Cast in front of the feeding frenzy and retrieve toward the melee. Most bass size baits will work. Spinnerbaits, buzzbaits, top water walking baits and injured minnow type baits work great. I personally like to throw gold bladed Mann’s Classic spinnerbaits buzzed across the surface or a Simm’s School-N’-Shad spinnerbait. The flashy blades and vibrations help the fish find the lure even in a maze of thousands of shad. I like darker color skirts or chartreuse. I don’t want to “match the hatch” with colors- why add one more shad? A Zara Spook is an old standby bait for surfacing white bass or wipers. Work the bait quickly through the school. The advantage to this bait is two sets of hooks; you just may catch two fish on one cast. Floating minnow type lures work great also but must be worked slower. Retrieving too fast cases these baits to spin rendering them less effective and often resulting in line twist and lost fish. Again, use a contrasting color selection. When the fish are forcing shad or other bait fish up against a shoreline, the same above mentioned lures will take fish, but, I really prefer the spinnerbaits in this situation since I can actually cast the bait onto the shoreline and drag it off into the water to take even the shallowest of the feeding fish with fear of snagging. When the fish aren’t on the surface things get a little tougher. They are still very much catchable, but harder to find. A good depth finder is your best friend under these conditions. 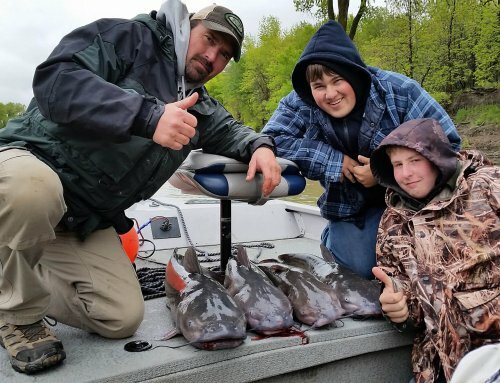 Large schools of fish show up nicely on even an inexpensive depth finder. Most likely you’ll see a school of baitfish at some predetermined depth with a school of larger predator fish beneath the baitfish. Schools of white bass and wipers will lie in wait below the baitfish and move vertically to feed. No depth finder? Try trolling large expanses of open water with deep diving crankbaits, weighted minnow or crawler harness rigs or jig and twister tail combinations. Just remember, where you catch one fish there may be plenty more or you may have to constantly move to relocate the schools. Another way to help locate schools of baitfish and or wiper/white bass is watch for birds diving into the water after baitfish. The fish injure lots of shad or other baitfish when they attack and these fish float to the surface where the birds feed on them. Follow the birds whenever possible. Good bait selection for deep fish include, jigs, jigging spoons, deep diving crankbaits, weighted live bait rigs and soft plastic jerk baits. Color is less of a factor the deeper we go. Just use a good confidence color, one you believe in. Cast out the lure-bait selection, allowing it to go to the desired depth and use a steady retrieve…make it easy for the fish. Wipers and white bass will suspend over deep water even when baitfish aren’t present. They simply wait for either baitfish to swim by or some change in local weather or water conditions. These are the toughest to catch. 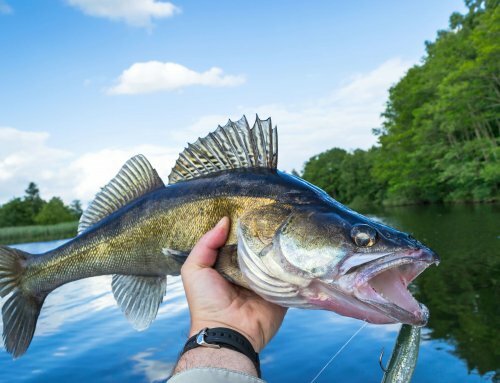 In my opinion, nothing can out- produce a simple jigging spoon when faced with open water suspended fish. Get the boat over the fish and drop the weighted jigging spoon to the fish. I prefer to allow the spoon to fall on slack line right through the school. Most strikes will occur as the spoon falls. Be ready to react quickly. Use a bright colored spoon, chartreuse or silver work great. If no strike occurs during the fall of the bait, do as the lure name suggests-jig it. It is possible to catch a lot of these fish without ever moving off the spot, unless the fish school moves away. 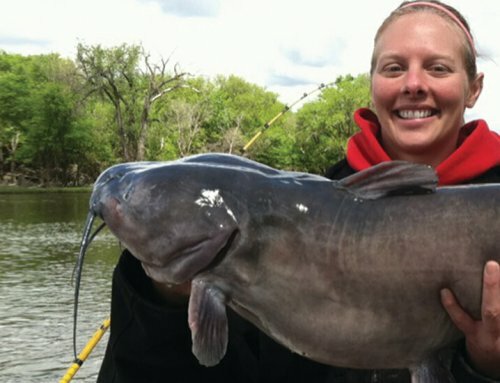 Don’t be intimidated by fishing open water. There are lots of fish down there. Move around until you find schools of bait, or birds feeding or actively feeding fish. Use contrasting colors. Use medium to heavy equipment, especially for wipers. Have a great time and enjoy some of the hottest action of the year, during the coolness of fall. God bless and good fishin’!